Like many people of Embu county, Sarah never had access to financial institutions or a safe way to save. So when a visiting reverend spoke to her congregation about the Five Talents savings programme and its potential, she gathered her close friends and start a savings group. The group started small, with only five members, slowly building up their savings until eventually, they were able to start loaning. 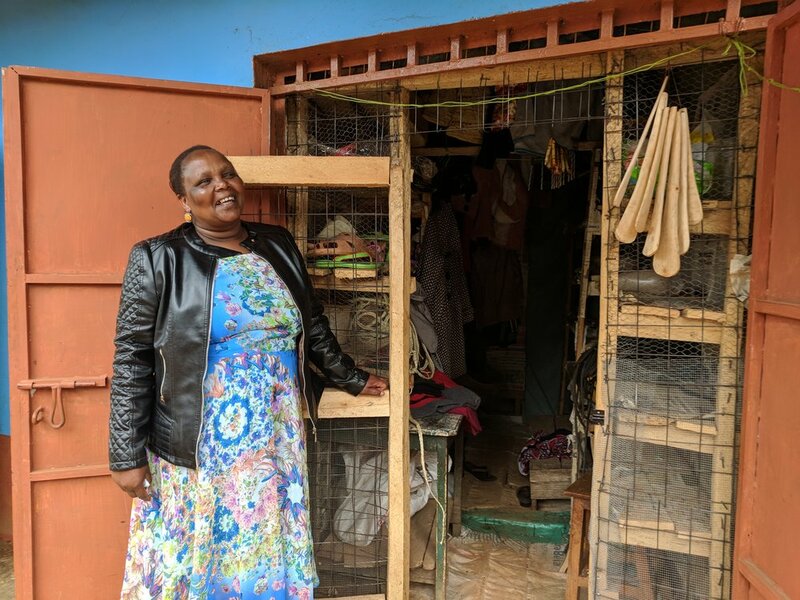 With her first loan, Sarah bought a goat she named Kiama, or “Blessings” so she could use the milk to feed her family and sell to make a little bit of money. Five years later, she continues to save reliably with her friends while paying off her current loan, four times larger than her first. With this loan, Sarah was able to invest in a shop where she sells cornmeal, clothes and other things the community may need. This small store helps ease the trials of the summer months and gives her control over her own personal finances. Her group is still growing, now with over 100 people. Kiangazi, meaning the dry season, is especially tough on Kenyan farmers like Sarah and her husband. As with many living in the region, her family mainly produced tea to be sold to any of the government or private collection centers scattered across Embu’s steep hills. But now the months between planting season are a little less trying as her family need not rely solely on their patch of land. She was even able to find relief from the pressures of school fees through the loans she took. Her eldest son, now 27, was able to find a job as an accountant thanks to his mother’s resourcefulness. Click here to read more of our client stories. Newer PostLiving on the Edge: First Impressions of Aru, Democratic Republic of Congo.